I love all things mini :) They look delicious! YUM! Bite-sized is the way to go! I love these mini marbled treats Astrid. Wonderful choice!!! 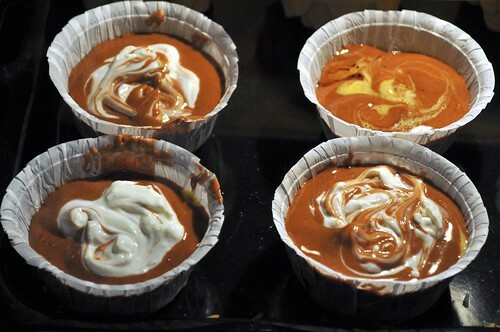 These look lovely and moist and the yogurt is a perfect addition! Love that you made the loaf into cupcakes, they look wonderful. 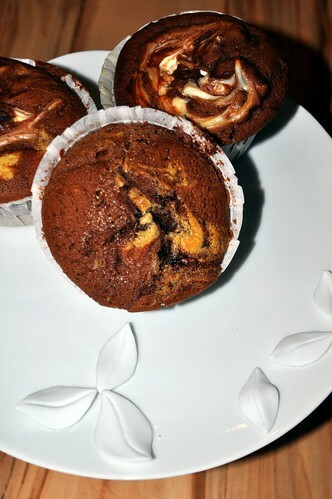 Ooh, your mini marbled cakes look great! And I love the idea of yogurt on top! Thanks for stopping by and baking from my blog this month!